Introducing the Indian Springfield Dark Horse. Matte-black finish. Gloss-black details. 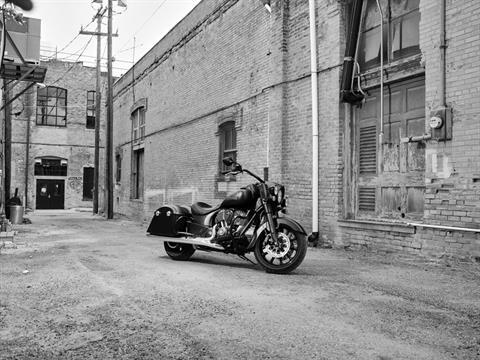 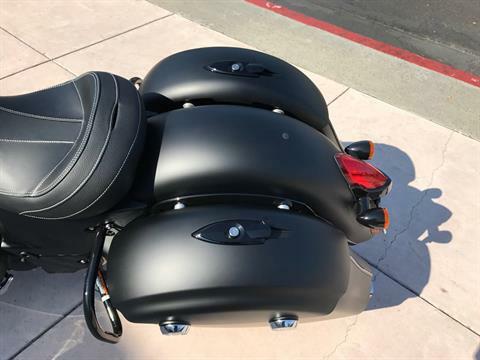 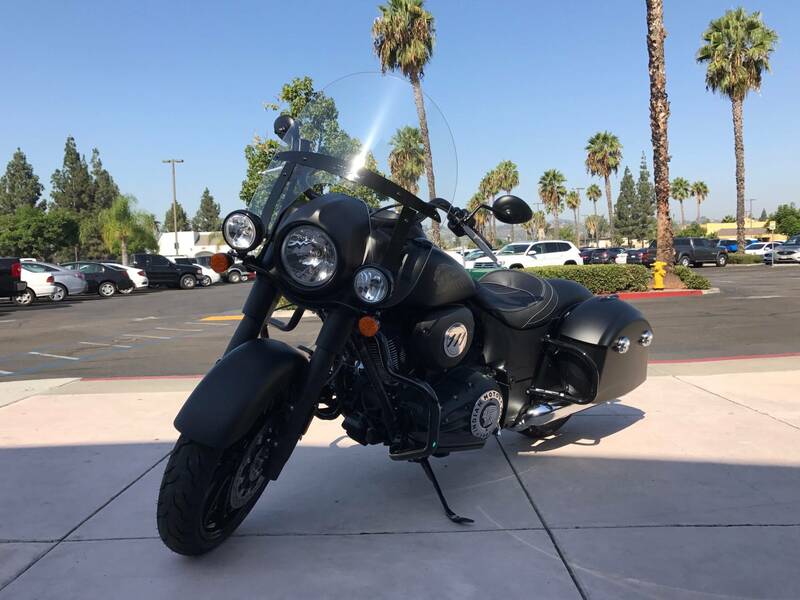 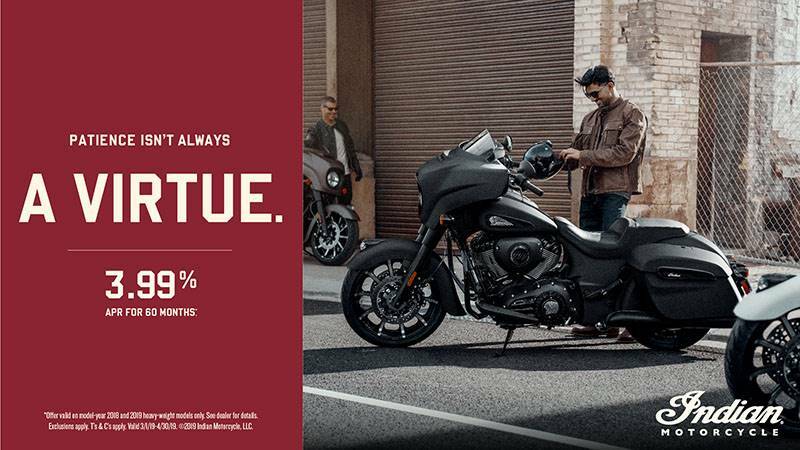 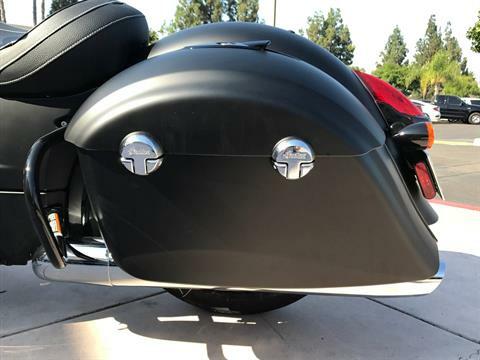 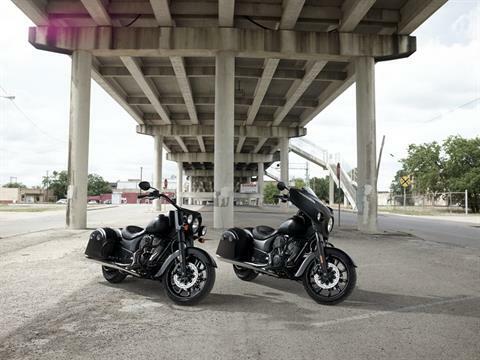 Even the Thunder Stroke® 111 V-Twin engine is cloaked in shadow. 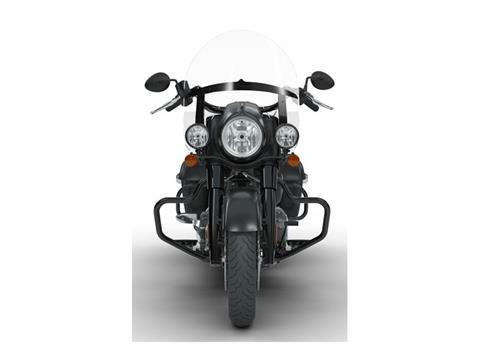 With a quick release windshield and an open front fender exposing a 19-inch ten-spoke blacked-out front wheel. It’s not just covered in black. 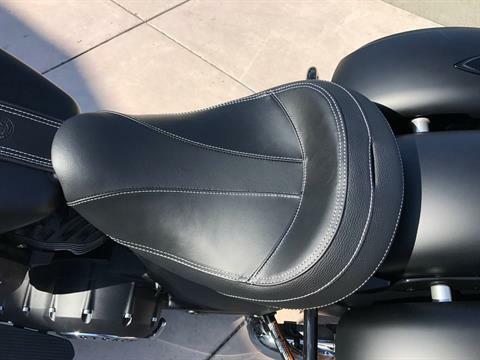 It’s jammed with features. 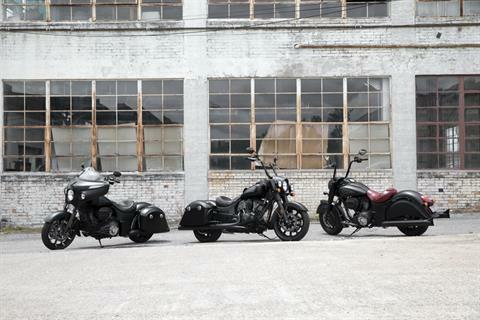 Welcome to the Dark Horse® family. 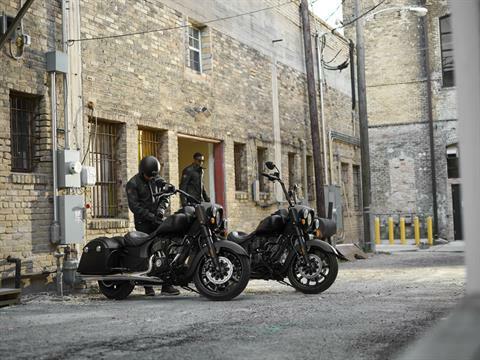 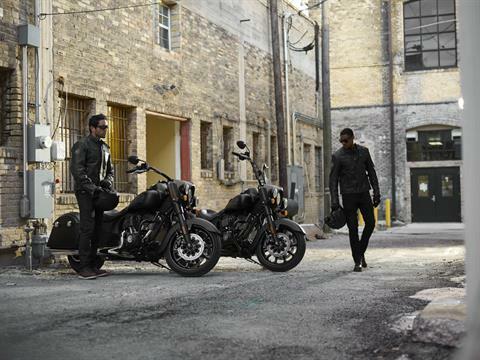 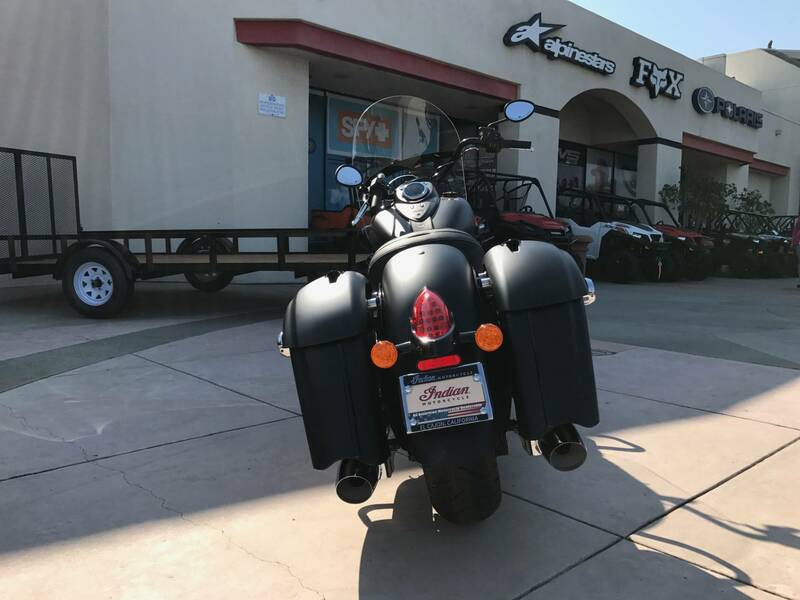 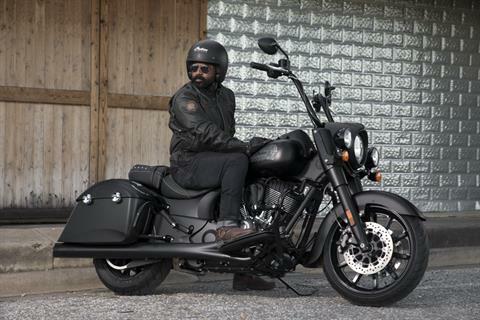 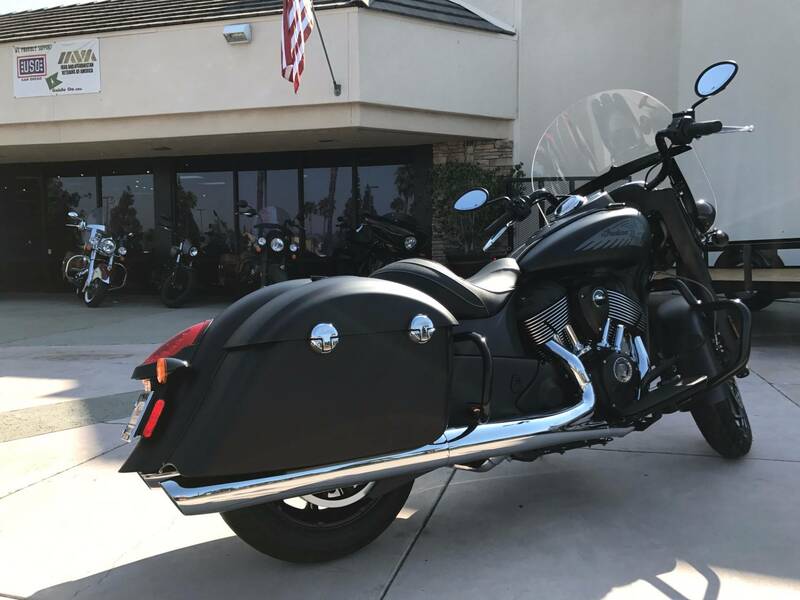 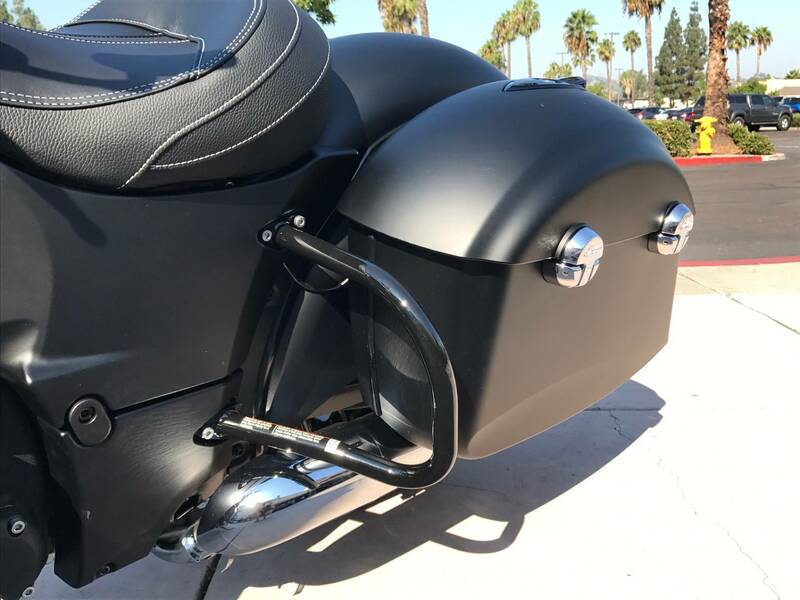 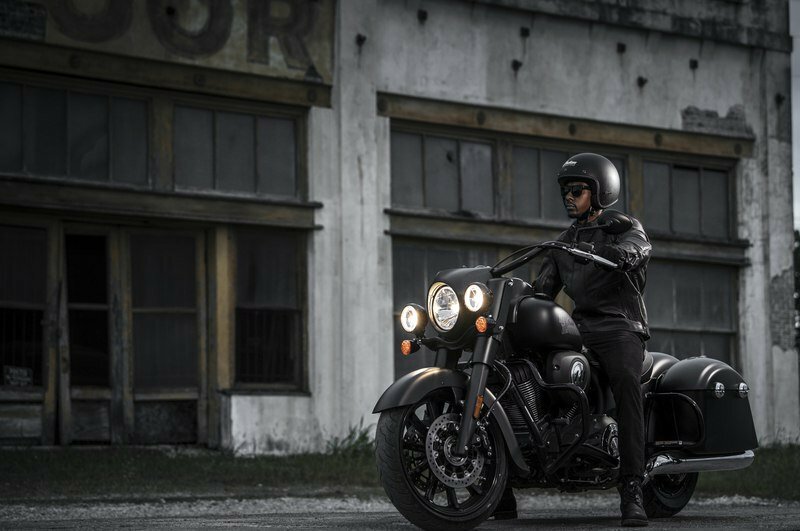 BLACKED-OUT STYLING: Dark by design, the Indian Springfield® Dark Horse® features matte-black paint and gloss-black details for a bold look that refuses to be ignored. THUNDER STROKE® 111: Designed from the ground up, the Thunder Stroke® 111 is a powerful, award-winning engine with legendary features inspired by the Power Plus motor of the 1940s: Multi-directional finned valve covers; downward firing exhaust; large, parallel push-rod tubes; organic, asymmetric fin styling; right-hand drive; right-hand cam cover; classic 2/3 head-to-cylinder neck down. 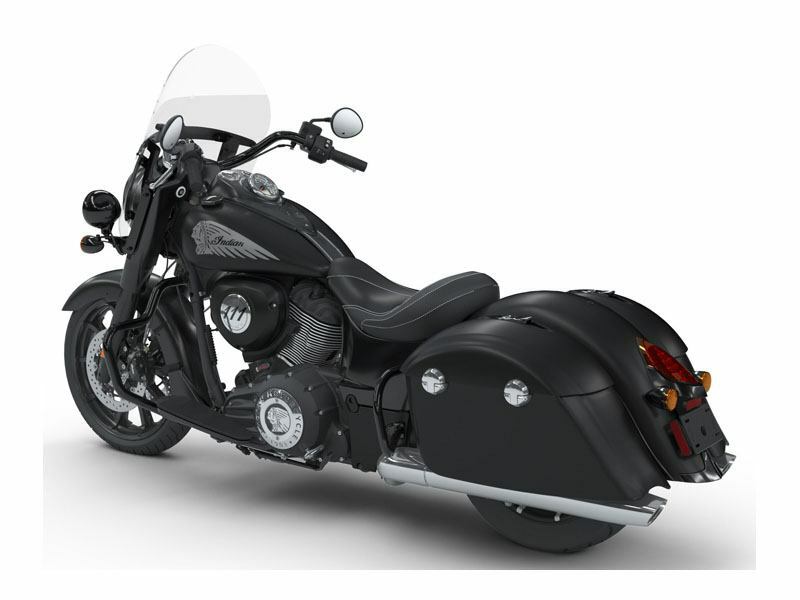 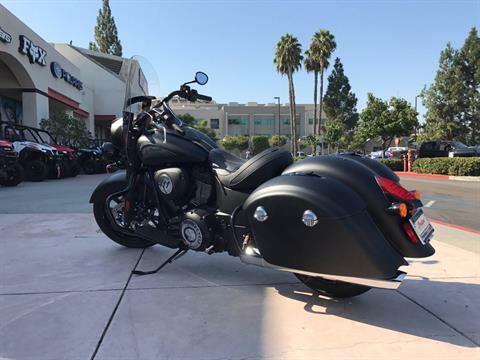 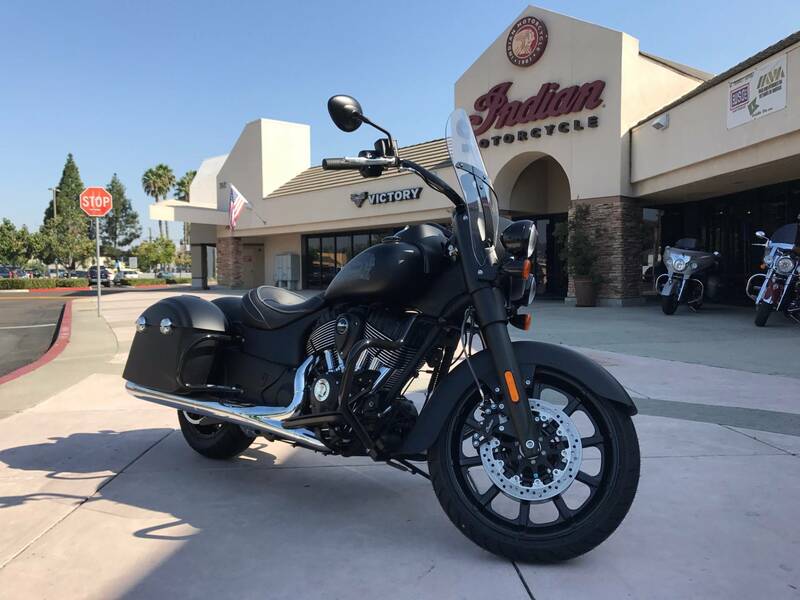 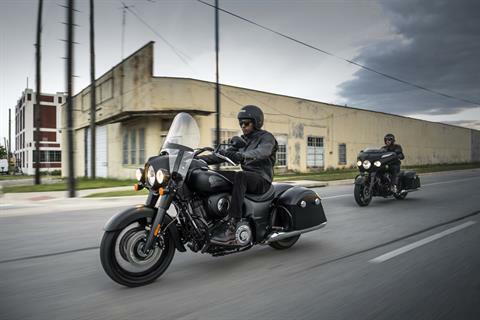 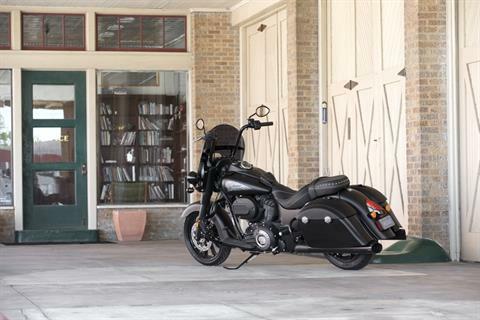 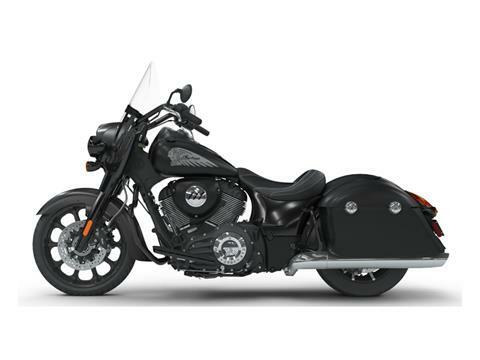 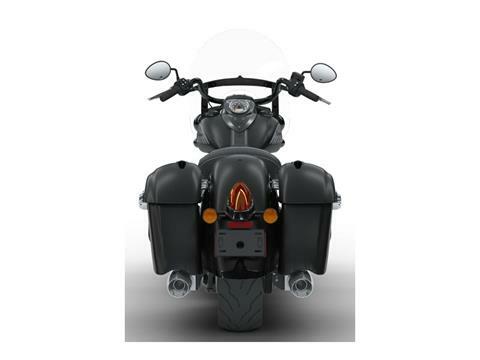 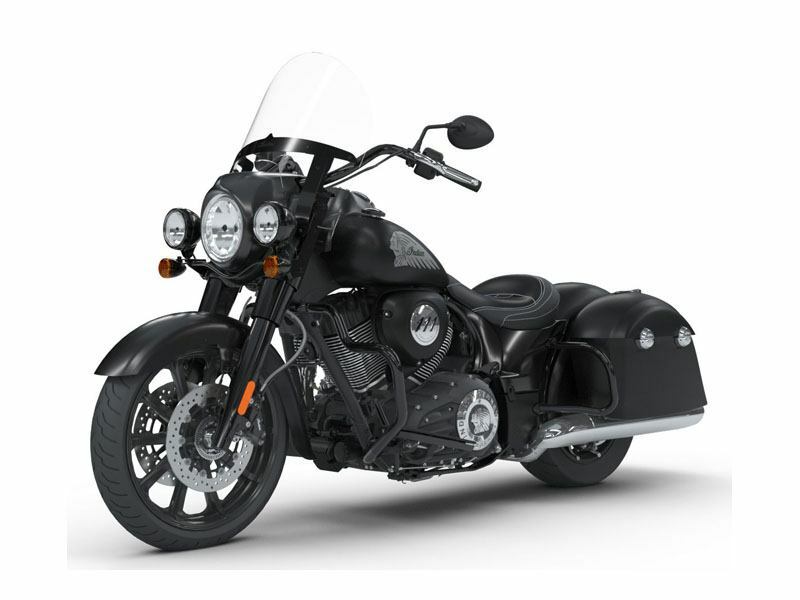 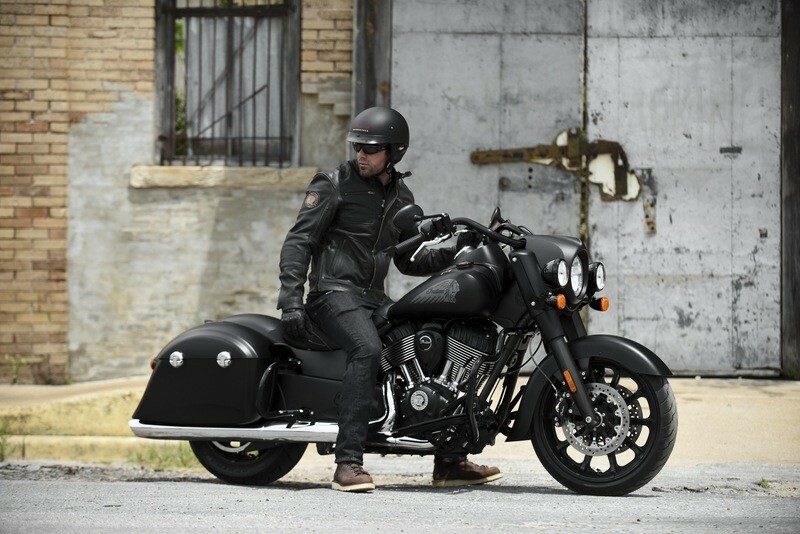 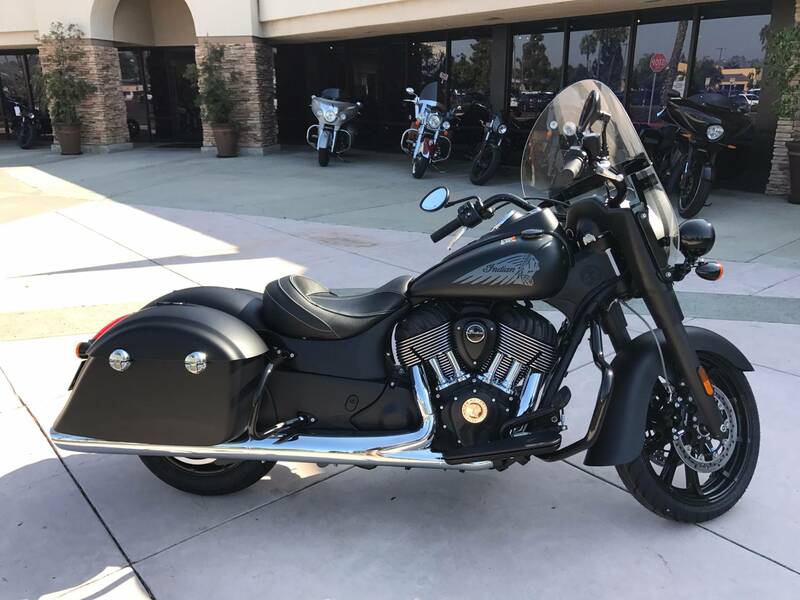 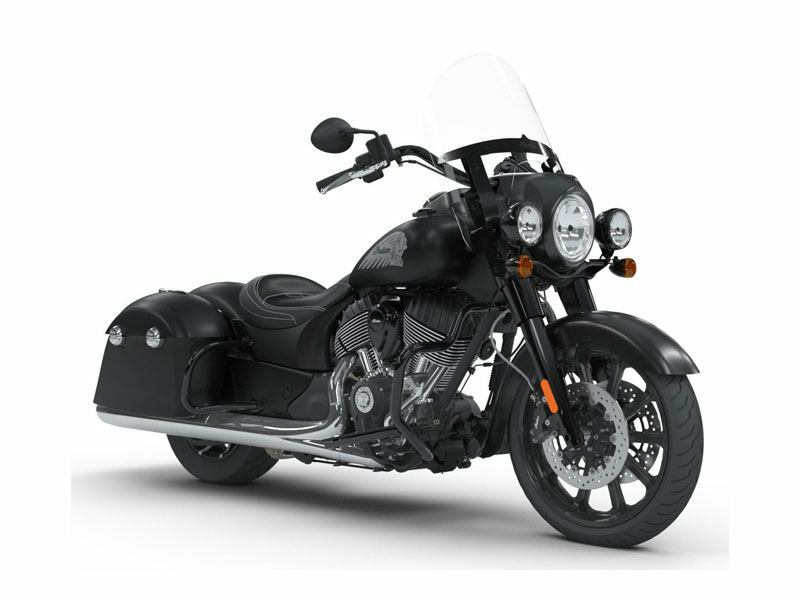 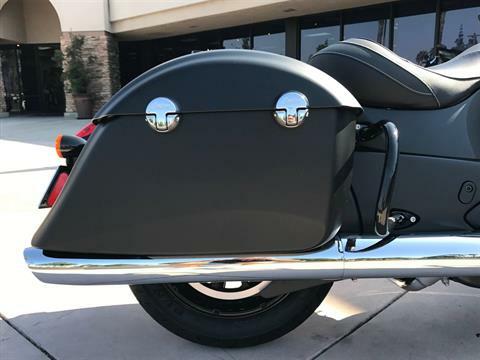 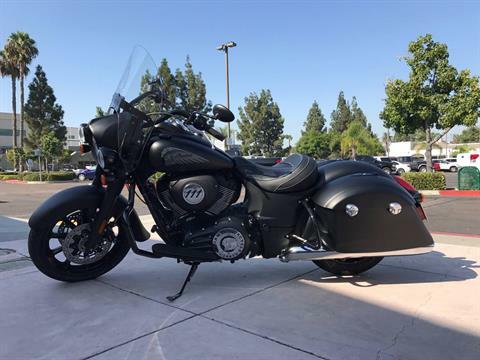 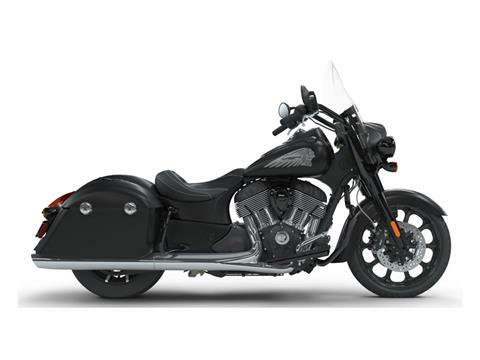 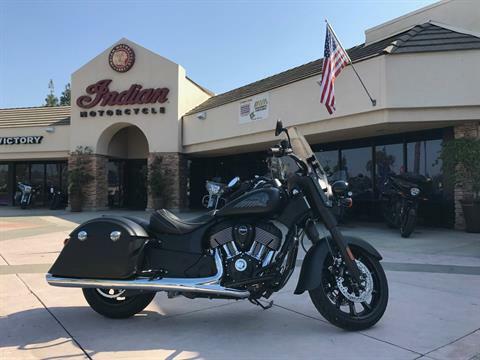 GLOSS BLACK FRONT AND REAR HIGHWAY BARS: Front and rear highway bars come standard on Indian Springfield® Dark Horse®. 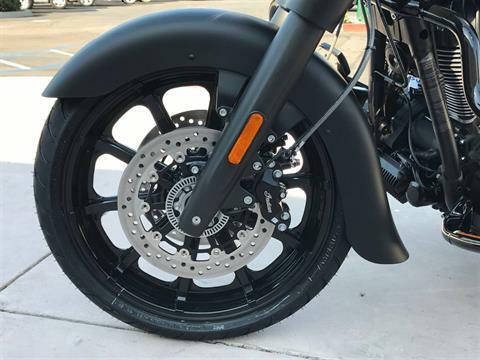 OPEN FRONT FENDER WITH 19 IN. WHEEL: An open front fender exposes a 19 in. 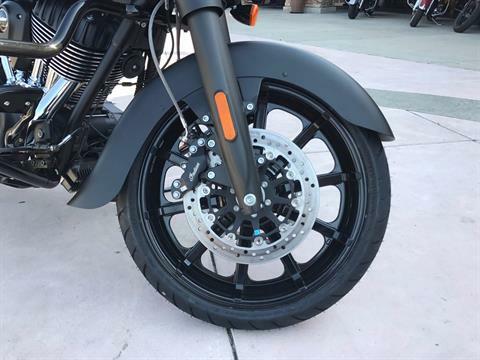 blacked-out wheel and dual front brakes, giving the bike a more custom look. 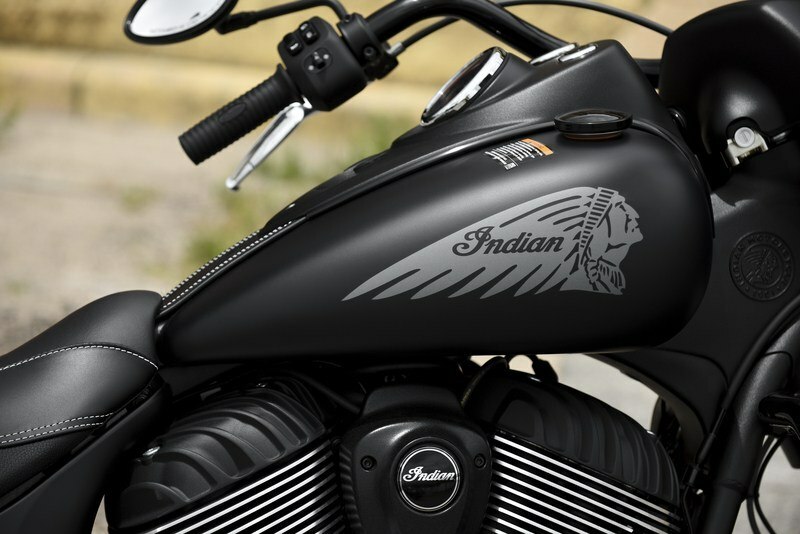 The flared fender design also offers a subtle nod to Indian’s “open” fenders of the 1920s and 1930s. 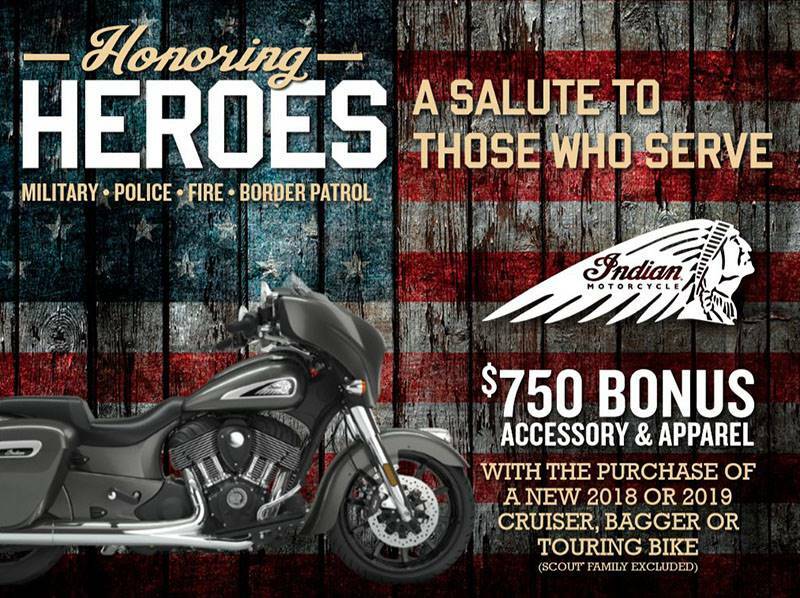 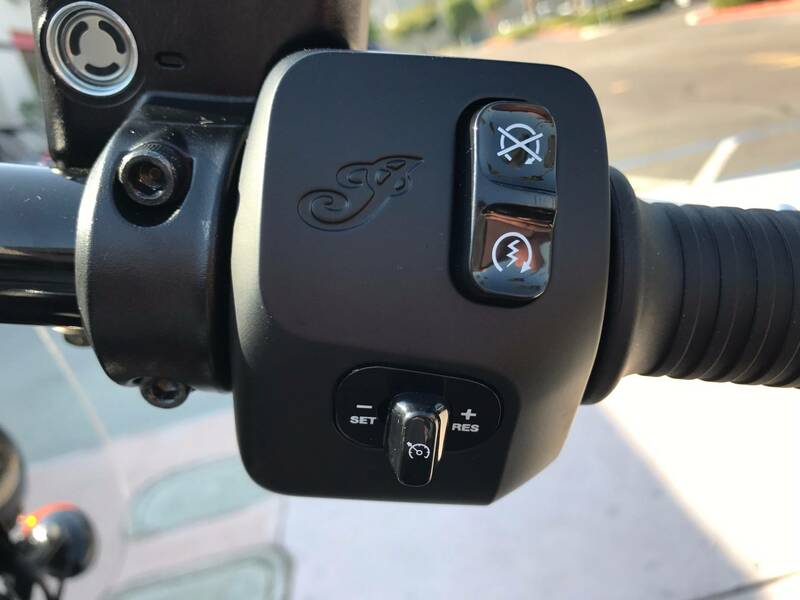 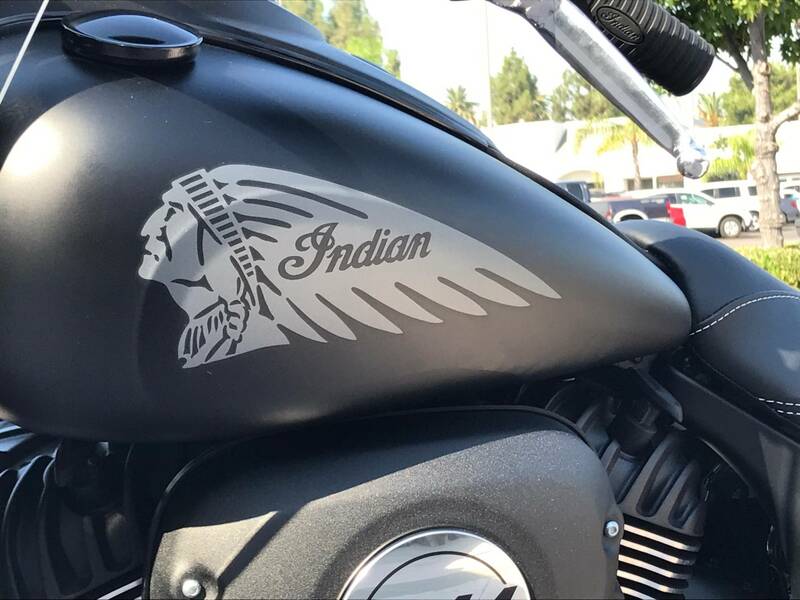 DRIVING LIGHTS: With standard front driving lights, the Indian Indian Springfield® Dark Horse® illuminates the road for safe riding, day or night. 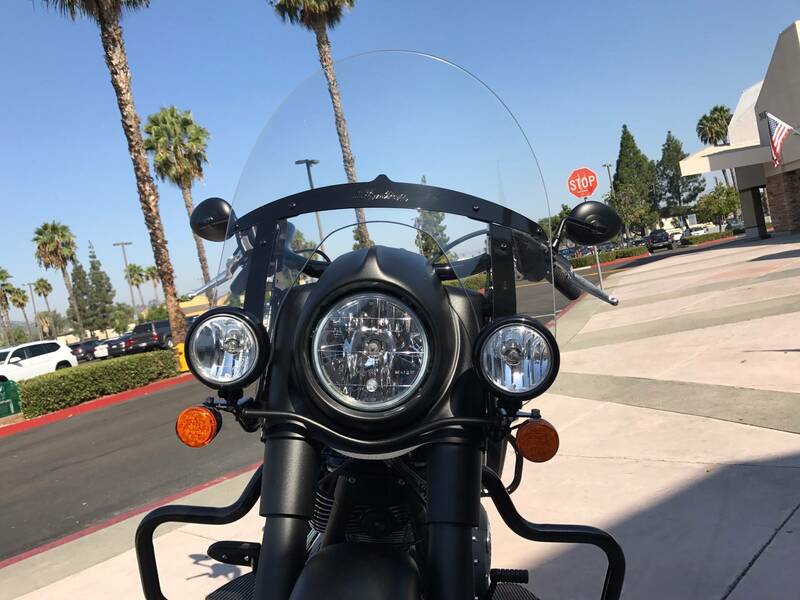 QUICK RELEASE WINDSHIELD: The windshield features black trim and provides outstanding wind protection to make every ride more comfortable. With Quick Release technology, it can be installed or removed in less than a minute, with no tools. 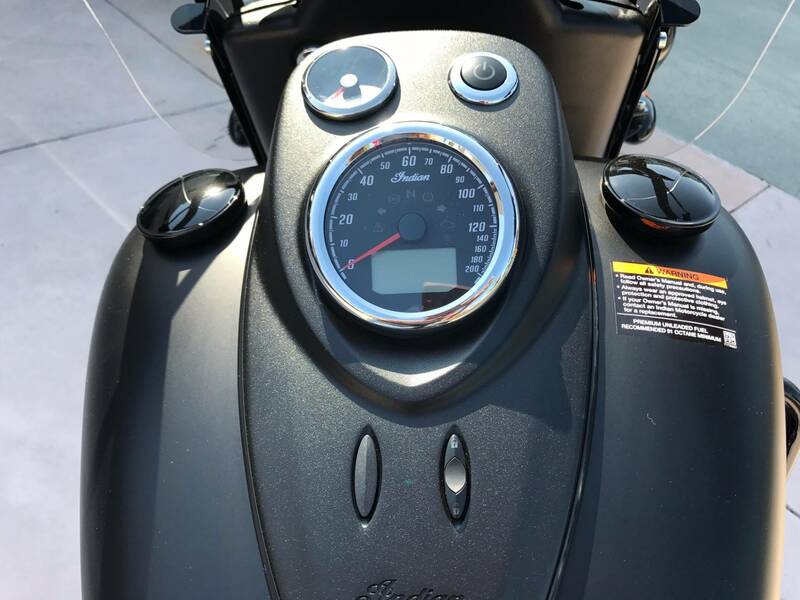 119 FT. LB. OF TORQUE: The Thunder Stroke® 111 produces 119 ft. lb. of torque with extraordinary power at low RPM, so you can accelerate hard with power to spare in every gear. 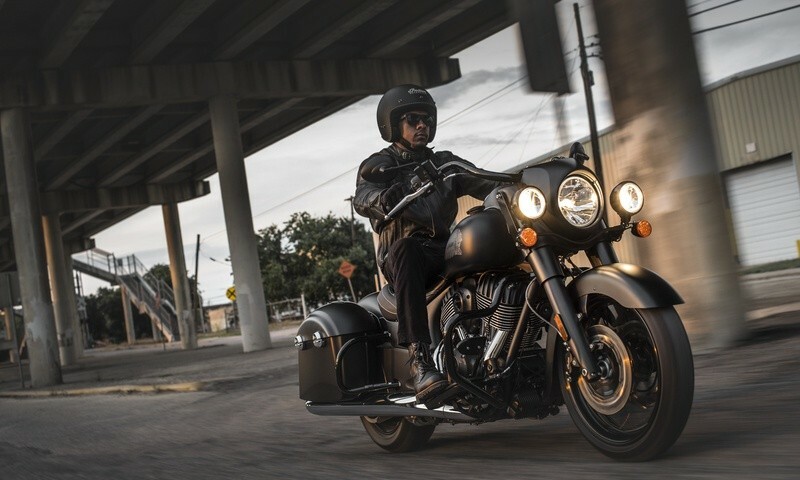 6-SPEED TRANSMISSION: A 6-speed transmission comes standard for more comfortable cruising. 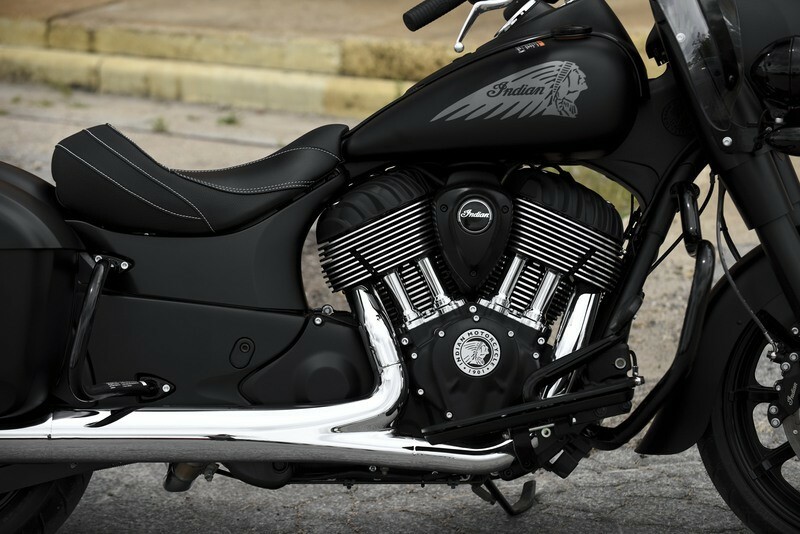 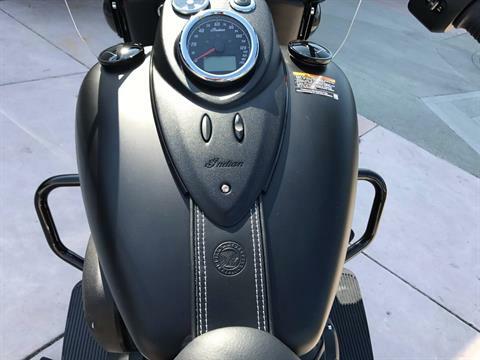 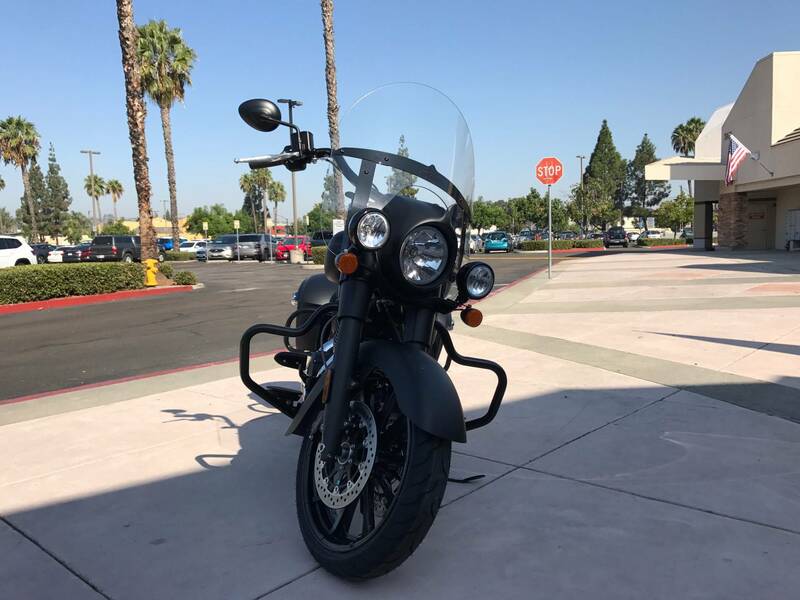 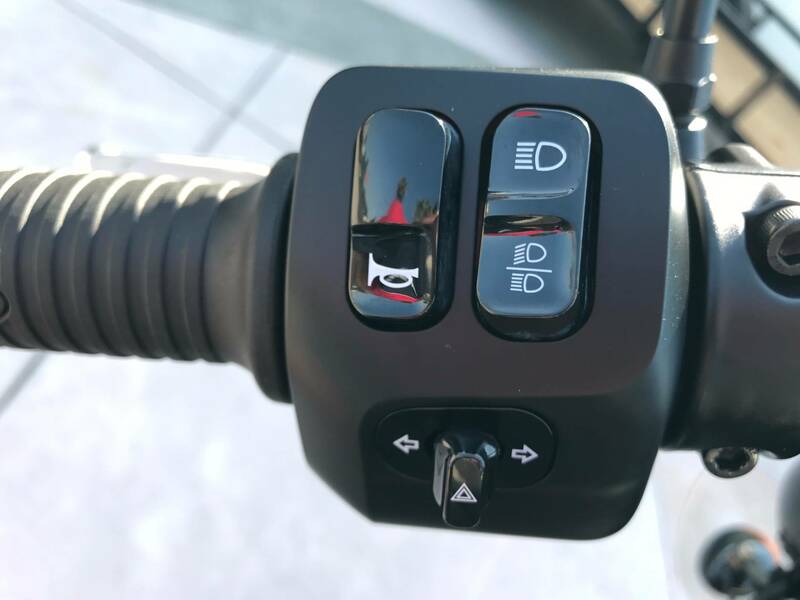 GLOSS BLACK HANDLEBARS: Gloss black handlebars add contrast to this matte black paint scheme. 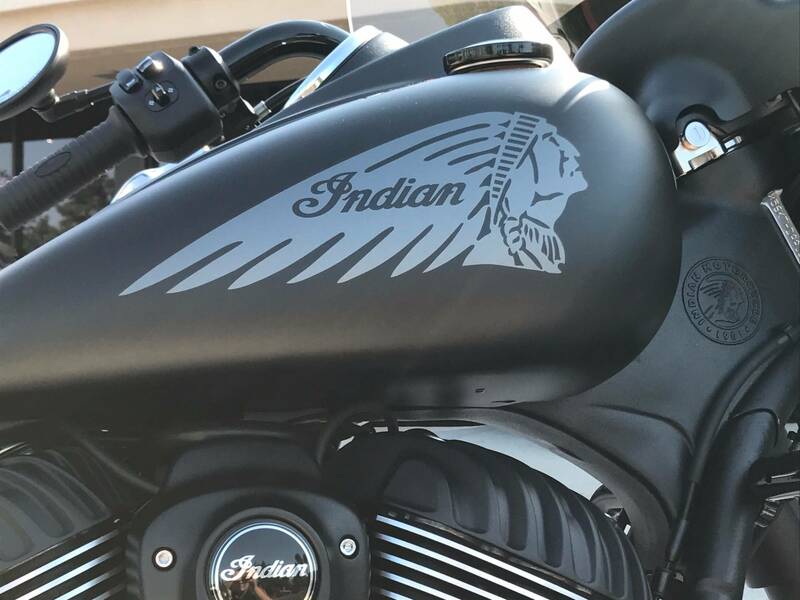 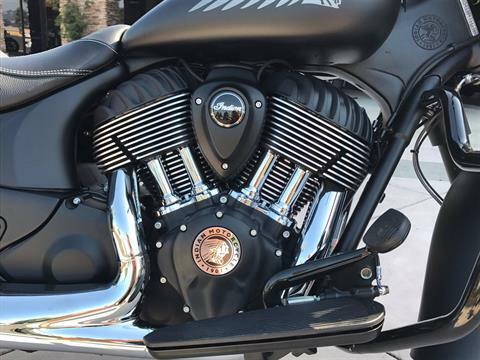 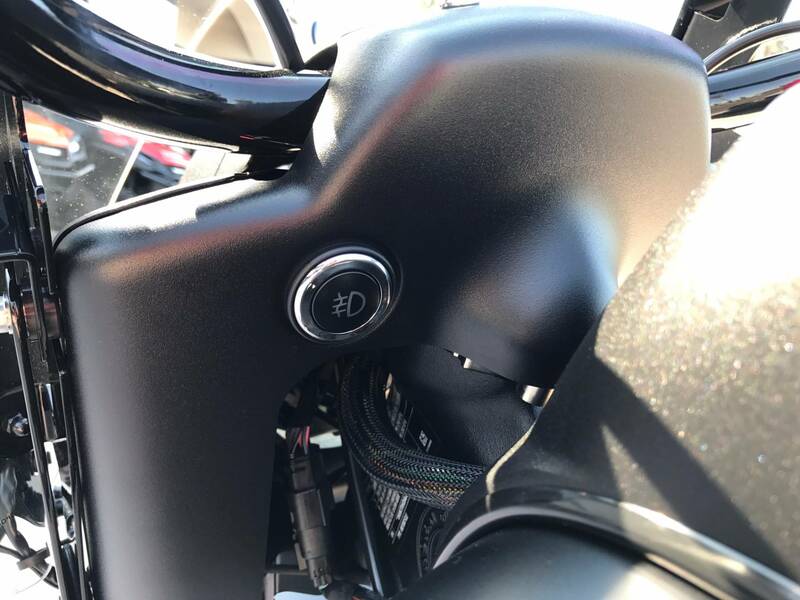 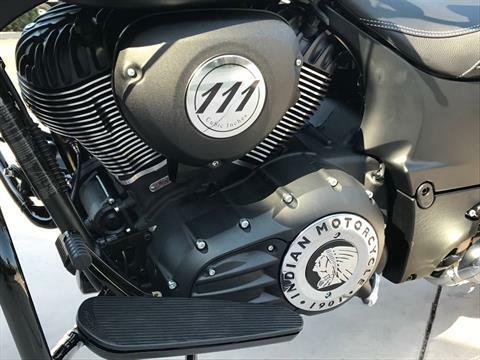 BLACKED-OUT GAUGES: The black gauge face complements the bike’s style, making everything about the Indian Indian Springfield® Dark Horse® stylish and aggressive. TRUNK-COMPATIBLE FRAME: The Indian Springfield is equipped with the most essential touring features, including a trunk-compatible frame that allows for enhanced passenger comfort and extra storage. SMOKE GRAY HEADDRESS: A smoke gray headdress reminds us that Indian Motorcycle® has stood for the ultimate in power, performance and style for over 115 years.